Watertrailers.net is currently under construction. Please be patient while we continue to update our site and information. The Workhorse Water Trailer is amongst the finest water trailers ever made. The Workhorse was built to handle the extreme abuse and harsh conditions of the construction and equipment rental industry, and they have proven to do just that. With nearly 15 years of production and refinement, the Workhorse maintains top level durability, longevity, functionality, ease of use, and style. All Workhorse trailers are heavily customizable and can be made to order specific to your needs!! 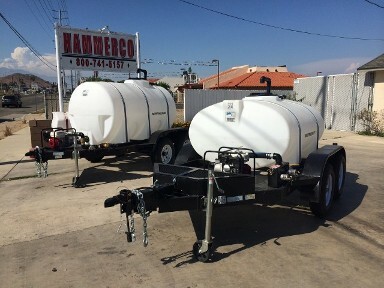 Features such as colors, pumps, hose reels, tool boxes, pressure washers, and so on, can be added to make your trailer a perfect fit for your job. If you can think of it, most of the time we can build it!